Simple, easy, and convenient are not often words used to describe buying a car. 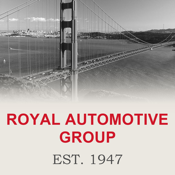 That’s all changed thanks to this app from Royal Automotive Group in San Francisco, California. 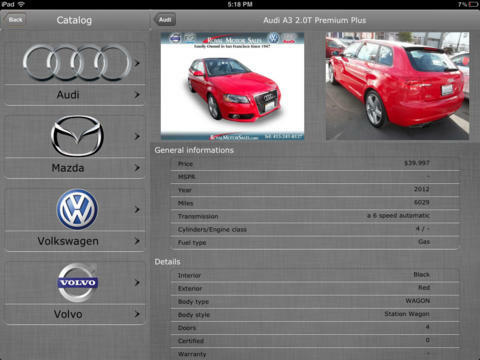 Our streamlined process allows you to browse through our selection of new and used vehicles straight from your phone! Make an informed decision about your next purchase from anywhere – on the go, you’ll always be in the know. Now you don’t have to spend all day at an auto dealership to find the car of your dreams. Browse, choose your favorites, and then take a test drive at our dealership. Our incredible selection of vehicles includes Volkswagen, Audi, Volvo, and Mazda, in addition to our pre-owned inventory. Shopping for your next vehicle is as easy as Browse, Like, Buy! Schedule your service center appointments from the convenience of your phone. Simply book the time that works best for you and we’ll see you at our repair and service center!